APPEAL FILED BY THE DEPARTMENT OF TELECOM AGAINST THE JUDGEMENT OF CAT PRINCIPAL BENCH IN THE CASE OF PENSION ANOMALY, FILED BY OUR ASSOCIATION AND WON BY US, CAME UP FOR HEARING IN DELHI HIGH COURT TODAY. IT CAME UP AFTER LONG TEN MONTHS. EVEN THEN, THE DEPARTMENT DID NOT COMPLY WITH THE COURT ORDERS. ADVOCATE FOR DEPARTMENT SOUGHT FURTHER TIME. A SHORT POSTPONMENT IS ALLOWED. NEXT DATE OF HEARING IS 8-2-2019. When justice is denied by the Government we are compelled to approach the court. It is the last resort for people like pensioners. Even at that stage the Government departments can play games and delay the justice further. Latest instance is the Pension Anomaly Case that came up before Delhi high court. Last time, the high court gave a long period of ten months to the Department of Telecom to file their counter. But after ten months, when the case was taken up the Department lawyer wants more time. Of course, this time it is only 4 months’ time is given. But there is no guarantee that Department will file their counter before that date. Our Association has filed two cases in Ernakulam CAT. 1. For getting arrears on account of 78.2% IDA revision from 1-1-2007 instead of 10.6.2013. 2. 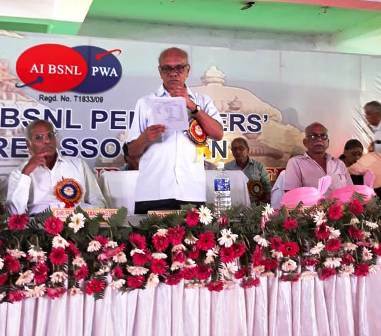 To get pension re-fixed @ 50% of last pay drawn to all BSNL retirees who retired before 1-1-2006. CAT admitted both the cases. But, a date for hearing is not yet given by the CAT. There is only Judge in CAT Ernakulam bench. Only when two judges are available the case will be heard. Government is responsible for this situation. A judge had retired in December 2017. 10 months have gone. The vacancy is not yet filled up. This is the case with Chennai bench of CAT also. It is the case with many other benches of CAT. CAT was introduced to ensure justice as quickly as possible to the central government employees and pensioners.The very purpose is defeated by not posting sufficient number of judges. The government, the bureaucracy, the authorities can deny justice; they can delay the justice also. The ordinary people are helpless. Most of the people affected by the pension anomaly have left this world. But, justice is a distant cry for their families….. EVEN THE COURT OF JUSTICE DOES NOT OPEN ITS EYES. As on 30-9-2018, there are 1,74,216 staff in BSNL. Out of them 1,26,534 will retire from service during next ten years. So, there will be hardly 50,000 people after ten years. 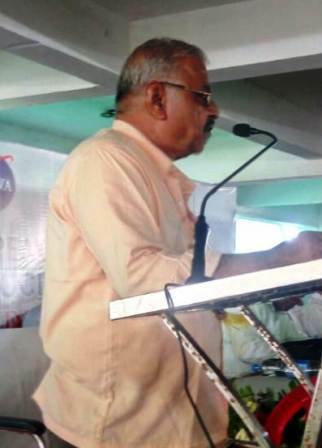 Shri V A Harsulkar was General Secretary of T III Union for two decades. In 1987, I took over from him only. From 1987 to 2001, till the T III merged in BSNLEU, Harsulakr continued as President. 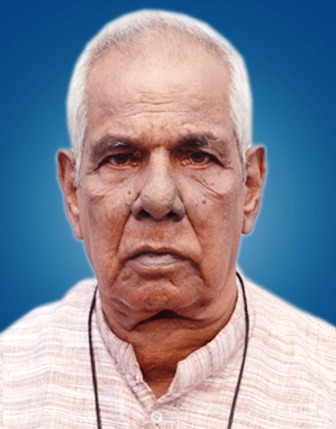 He is now 92 years old and living in Noida, near New Delhi. 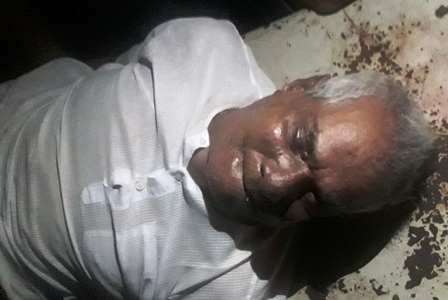 On 14th October 2018, he lost his SON, Vivek Harsulkar. 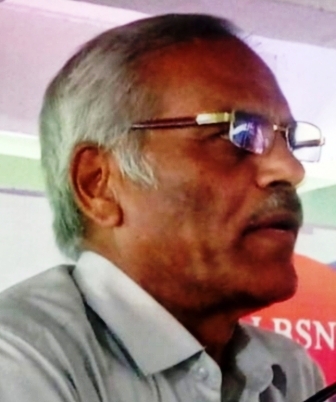 Vivek retired as a senior engineer from Central Electronics Ltd New Delhi. All along he was active in the RSS. On 14th Vivek brought milk and prepared coffee for his father Shri V A Harsulkar. After serving coffee to the father, Vivek felt severe chest pain. Immediately a doctor was called. On his advice Vivek was taken to nearby Dharamsila Hospital. The doctor declared that he was brought dead. It was a massive heart attack. I spoke to younger brother of Shri V A Harsulkar. I did not want to disturb the 92 years old gentleman. I conveyed my condolences through his brother who came down from Nagpur. BSNL corporate office has issued the following order. Please read it carefully. I do not know what the order means. Does it mean that parents shall not be treated as dependents? Somebody may explain the position. The Consumer Price Index for august 2018 is 301. For July also it was 301. For June it was 291. So, average for the three months is 297.66. Based on that the IDA will increase from existing 128% to 135.6% from October 2018. Com. 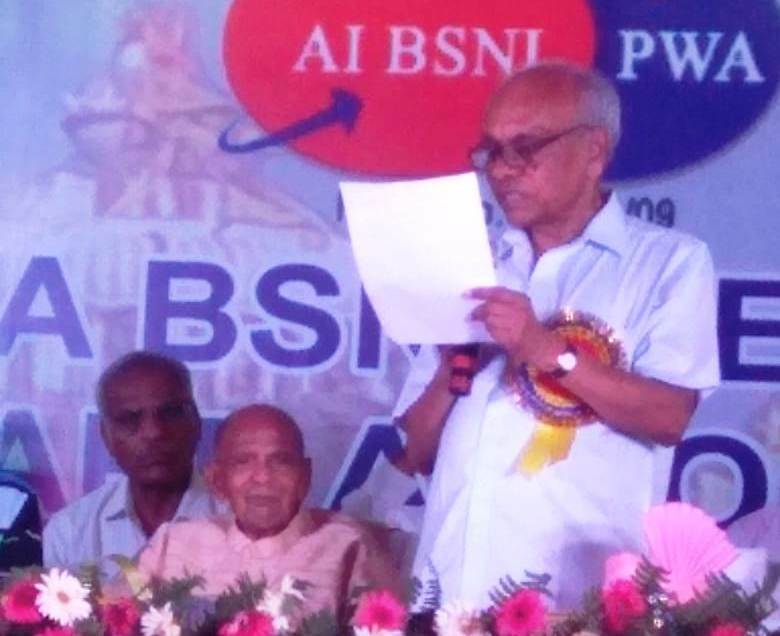 P. Gangadhara Rao joined the Telecom Department as Technician in 1970 in Bangalore Telecom District. He became Phone Inspector in 1973. Junior Engineer in 1976. Assistant Engineer in 1992 and finally retired as Divisional Engineer On 31-03-2008.
and in FNPTO while working as Phone Inspector. founder Circle President of SNEA before retirement. and continued till 2015. In Bangalore AIC he was elected as Dy. General Secretary. Now at Puri he is elected as our GS. ODISHSA, a small circle in size, but high in spirit, hosted our big All India Conference at a small place, Puri. Ø Red Alert warning about a cyclone on coastal Odisha gave added burden to the hosts. With that fear and apprehension only we started the conference.But, the cyclone simply crossed over Odisha and got weakened. here were some showers and strong wind on 20,September. ... AIC decided to organize mass hunger strike for one day in October/November 2018, at all SSA headquarters demanding Pension Revision with CPC fitment factor. ... Our members from Delhi, Haryana, Punjab, Rajasthan, UP East and UP West Circles should participate in the Delhi convention in largest number.Other Circles may send representatives. (i) Name of our association remains same as AIBSNLPWA. There is no change for the time being. (ii) The District units are free to form branches below SSA Units for better and effective functioning. (iii) If branches are formed as above, the SSA Unit shall decide jurisdiction of such branches, as already provided in the constitution. (iv) District conference of such SSA Unit, having branches, shall comprise of delegates elected by the branches at the ratio of One Delegate for every Ten members or part thereof. 20% to District and retain remaining 40%. 20% to CHQ, 20% to Circle and 60% will be retained by the SSA Unit. (vii) For AIC and Circle Conference, the SSA Unit shall remain as the Base unit, as now. 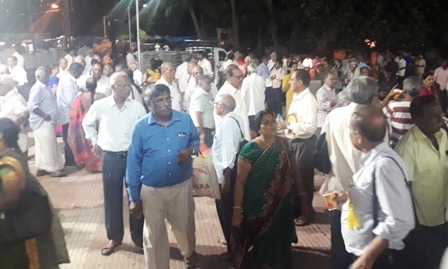 Though the Conference ended on time as scheduled smoothly, unexpected problems were waiting for many Delegates.Due to some agitation at Kharagpur in West Bengal, 40 trains were cancelled.Hundreds of our delegates were stranded at Puri, Khurda Road or Bhubaneswar railway stations. Some had to catch flights.Some others like Ernakulam comrades had to spend 18 hours in railway platform for their trains.Some others had to travel in unreserved coaches, having no water, no toilet facility, and no food.It was a torture. We could not help them.Nobody could help them.Railways did not make any alternate arrangement. On 21-9-2018, when we were in CWC meeting the shocking news reached us about sudden demise of Com. P C Moitra (72), our former All India Vice President and present Circle President of West Bengal. He had heart problem and has been moving with a pacemaker. But death came so unexpectedly. 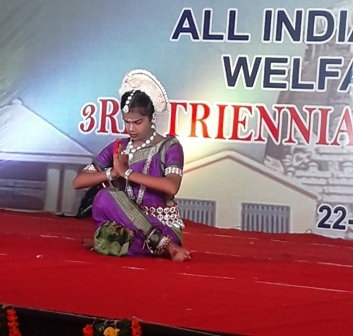 He came to Puri to attend the AIC. While sitting in front of the Conference hall he fell down on the lap of a comrade from Tamilnadu and expired on the spot. Immediately he was taken to hospital and they declared brought dead. Some comrades console themselves that he could breathe last in the “holy land” of Puri. But, it was a shock for us. I and Com. Natarajan went to the hospital, terminating the CWC meeting and located the dead body kept behind the Puri District Hospital. I could take a shot of the dead body of my old comrade with 40 years friendship, under the light provided by Com. Natarajan’s mobile phone. NOW, WE ARE MOVING TO PURI, THE CITY OF LORD JAGANNATH TO MEET IN OUR AIC. WE SHALL MAKE ALL EFFORTS TO MOVE TOGETHER WITH ALL OTHER ORGANIZATIONS AGREEING TO OUR DEMAND FOR PENSION REVISION WITH CPC FITMENT FORMULA. WE ARE HAPPY THAT SOME MORE ORGANIZATIONS WHO WERE DEMANDING PRC FORMULA EARLIER HAVE CHANGED THEIR ATTITUDE, RECOGNISING THE REALITY, AND NOW DEMAND PENSION REVISION WITH CPC FITMENT BENEFITS. IT IS THE NEED OF THE HOUR TO UNITE AND FIGHT FOR OUR DEMAND. WE DO NOT MIND WHO TOOK WHAT STAND IN THE PAST ETC. WE ARE HAPPY THAT MORE AND MORE ARE COMING ON THE RIGHT PATH. THERE IS NO QUESTION OF OUR PATH OR THEIR PAGTH. IT IS RIGHT PATH. REVISE OUR PENSION WITH CPC FITMENT BENEFITS. REVISE OUR PENSION IN IDA PATTERN ITSELF. 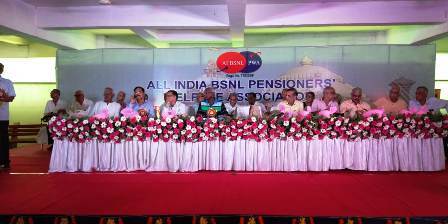 DELINK OUR PENSION REVISION FROM PAY REVISION IN BSNL. 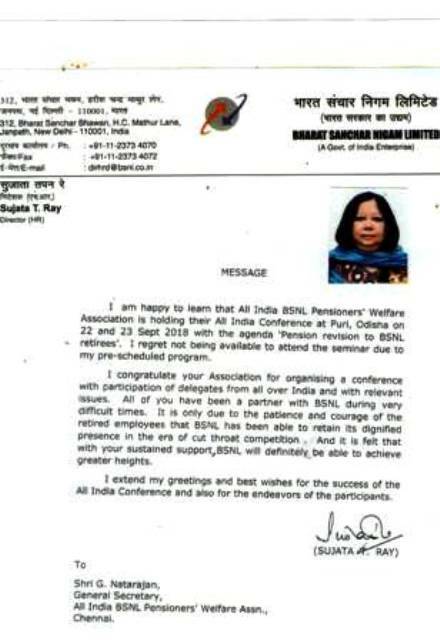 DELINK OUR PENSION REVISION FROM THE FINANCIAL POSITION OF BSNL COMPANY. DELINK OUR PENSION REVISION FROM PRC REPORT. GOVERNMENT NEED NOT WAIT FOR THE DECISION OF BSNL COMPANY WITH REGARD REVISION. THE KERALA CEC MEETING HELD AT ERNAKULAM ON 14-9-2018 DECIDED TO DONATE RUPEES ONE LAKH TO KARNATAKA CHIEF MINISTER'S DISTRESS RELIEF FUND TO HELP THE PEOPLE OF KODAGU AFFECTED BY THE RECENT FLOODS THERE.